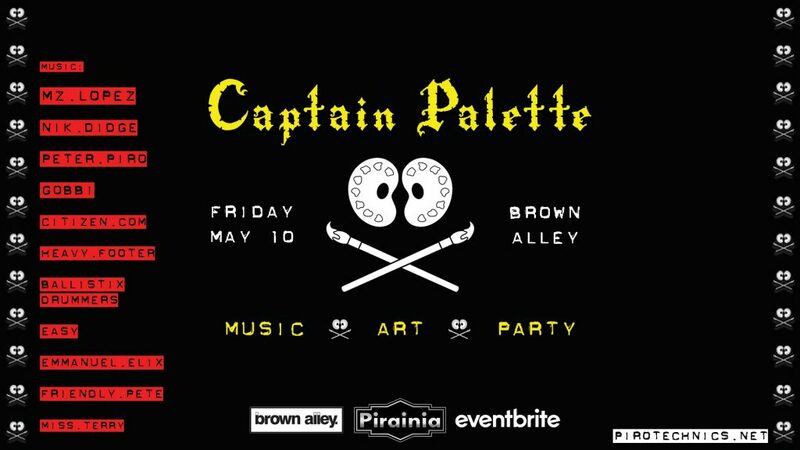 Captain Palette – Art, Music, Performance, Party. An interactive and immersive art & music experience! Join us on Friday May 10th for a special Treasure Island theme, Captain Palette 5th Birthday celebration. The Captain Palette crew have sailed the seas in search golden booty and chests of treasure. It’s been a whole year of sailing since our last adventure but finally we’ve landed here on Treasure Island! An island filled with tropical delights, jungle creatures and riches beyond wildest dreams. Dress theme: “Treasure Island” Pirates & Parrots, Leopards & Lions, Mermaids, Monkeys & more. Get creative, Dress up & unleash your inhibitions. Local & international talent playing a mix of Techno, Tech house, Deep House, Prog & much more. Live music & DJ’s across 2 stages. Note: This event capacity is strictly limited! Full Line up coming soon! « Secret Party & Angel Music Bar venue launch!